Solid pulley is extensively used in many industries. And also this Solid pulley is available in a huge range in the market. Its peculiarity is that also usable for the residence applications. Solid pulleys are best to use as it has long stability for long time period. The problem of repairing is not arises more in the solid pulley its specially made hazel free for the consumer’s comfort. Our solid pulley is made well polished with extra care. A normal solid pulley contains the 3 to 4 grooves. Our well trained professionals are manufacturing the finest quality of solid pulley. Generally solid pulleys are made from aluminum, stainless steel, copper, brass, or steel. 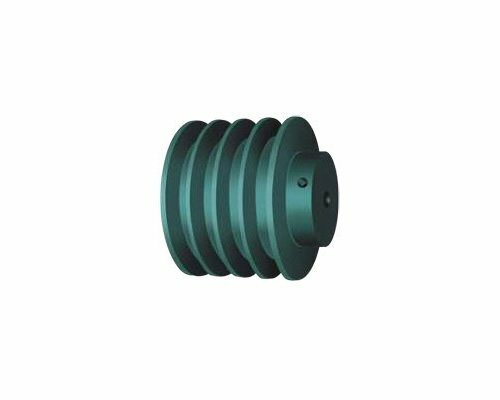 We are the leading and prominent manufacturer and supplier of the solid pulleys as we have been providing the service since long years. Our company uses the highest grade raw materials for the manufacturing of solid pulleys so that it can be long lasting and widely likes by all consumers.